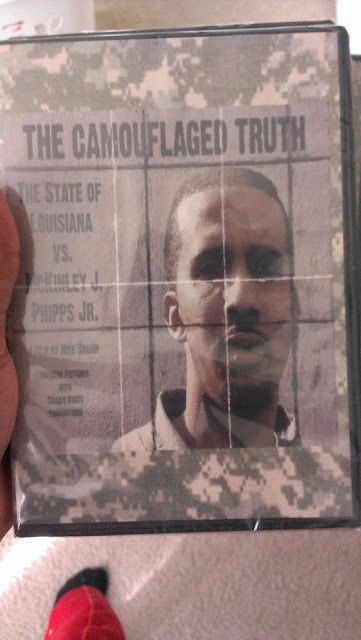 Thanks to the user LilWeezyana1 from WordOfSouth forum I just've found that "The Camouflaged Truth" DVD of former No Limit Mac is finally out!. Mac started his music career as a kid rapper in the year 1990. He then went by the stage name Lil Mac, and at 13 years old he released his debut album The Lyrical Midget. The album was one of the earliest commercial hip-hop albums to come out of New Orleans, and featured some production from New Orleans producer Mannie Fresh. It was not very successful though Lil Mac would not be heard from for another 7 years. You can order the DVD via Paypal HERE. Mac's lil brother Kaine is on Twitter and Instagram by the name of Kaine504. He had the link on his page and he puts up a lot of pictures of Mac on mondays like Tracy Baltimore did with B.G. He also gives updates on Mac jail status too. P.O. Box 174 E.H.C.C. Golf-1 St.
Yo! This is Kaine! This is the new link for the documentary!